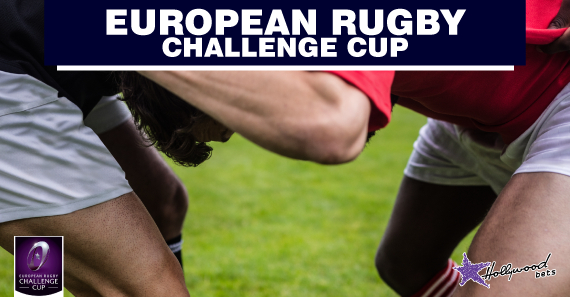 The European Rugby Challenge Cup will get underway on Thursday the 11th of October. Darry Worthington takes a look at the outright betting and who may lift the cup below. Europe's second-tier rugby competition will ooze star quality this season with French giants Clermont and La Rochelle both plying their trade in the tournament. The two glamour clubs are favourites with the bookies to lift the title next year but they are likely to face stiff competition from the likes of Irish Province, Connacht and English club's Harlequins and Northampton. It's all about the French and English big guns this year with the top five sides on the betting boards either being Anglo or Gaelic. At present, Clermont and La Rochelle are installed as joint-favourites and are trading at 7/2. The former really are the smarter bet as they have got their Top 14 campaign off to a rollicking start and also possess an extremely deep squad which features numerous international stars. Onto the English contingent at the top of the betting boards now. Harlequins are currently third favourites to claim the title. The English club has enjoyed a solid enough start to their domestic season winning one of their two opening two league games. They look a much more tight-knit group this season and will be extremely hard to topple at home. Like 'Quins, Northampton have opened their Gallagher Premiership season with a win and a loss. Also like Harlequins, the Saints will be a tough nut to crack on home soil. A bit further down the betting, you will find Irish Province Connacht. The 2015/16 Pro 12 champions have been in a heavy rebuilding process over the past two years after losing a number of their stars from that title-winning side. They have looked decent during their opening two Pro 14 games, running Glasgow close and then comfortably beating Zebre. At 16/1 the Irish side looks a rather sharp punt. The new boys on the Gallagher Premiership block have a very handy squad and could pose a real threat in Europe. They've been drawn in a kind enough pool alongside minnows Zebre and Ensei. Their biggest challenge will come against French giants La Rochelle. But even if they lose their two games against the French club, they could still have a chance of advancing to the play-offs as one of the pool phases best-place runners-up. If they do find themselves in the next phase, then the Bears could well spring a massive surprise and land themselves some European silverware. I can't see anyone taking this trophy other then Clermont. The French giants are a league above all the other teams in the competition. 7/2 isn't the worst value either considering just how strong Clermont is.